This summer I have decided to try out several different grocery delivery services. Having my groceries delivered has saved me time and money. 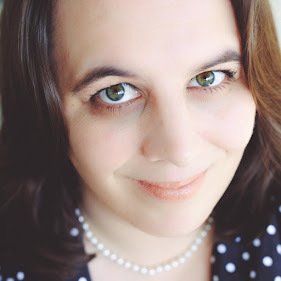 I often impulse buy things I don't need when I am physically at the store, but using a grocery delivery service I have to carefully plan out the items I need. This results in me saving money in the long run. After trying the service Safeway offered I decided to try Amazon Fresh. 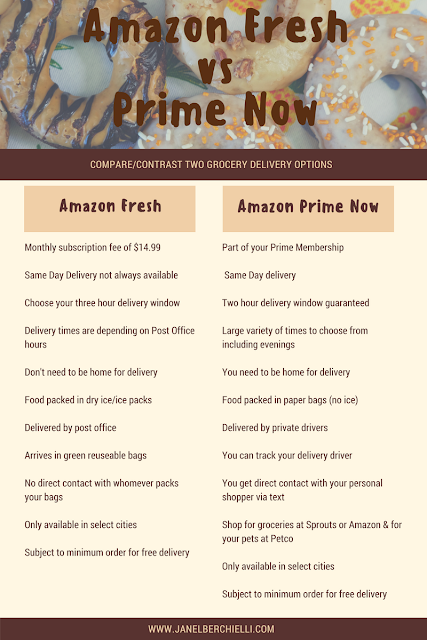 It wasn't until a few weeks later when I discovered Amazon has a few different grocery delivery options. Each delivery service has pros and cons to them. 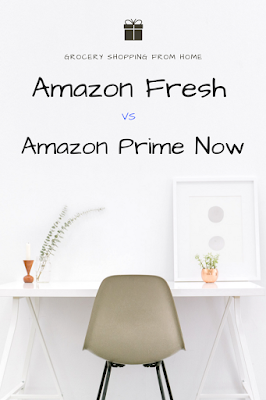 Instead of creating a pro/con list I decided to compare/contrast Amazon Fresh vs Amazon Prime Now. 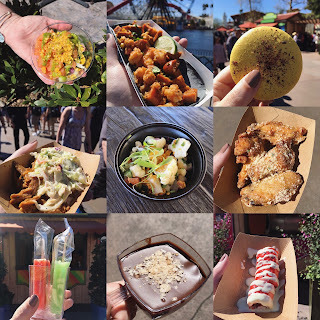 I didn't compare/contrast every feature between the two services but I did share the ones I felt were most important to the everyday shopper. This will give you a better idea on each program so that you can choose the best fit for you. While I do enjoy the different features each program has to offer it came down to one thing for me, money. 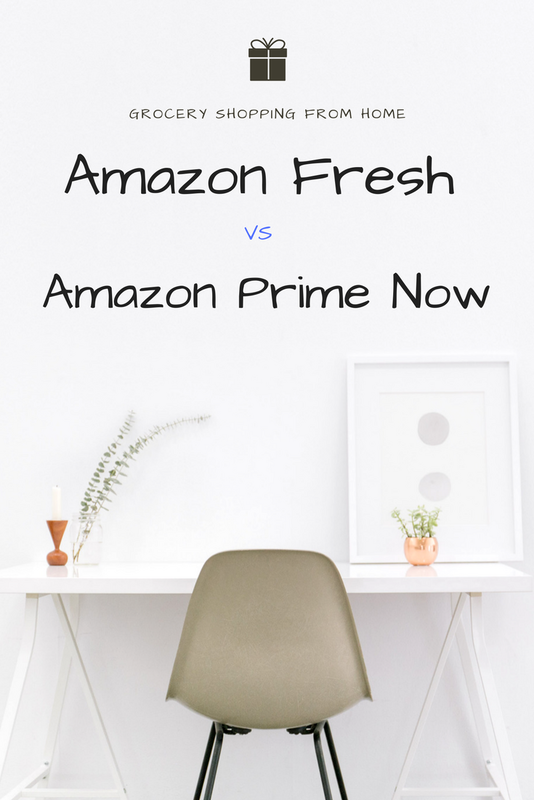 I just couldn't get over the high monthly subscription fee Amazon Fresh has when I am already a Prime member. I decided Amazon Prime Now is a better fit for me.